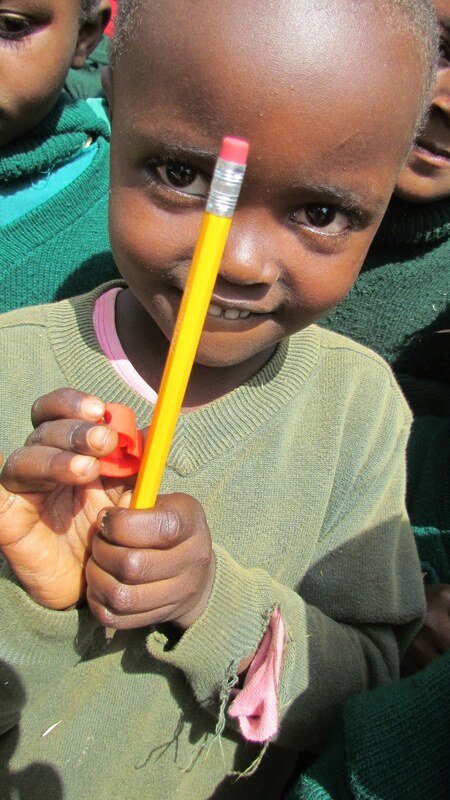 Every pencil you donate reaches a child in need. Although it’s nowhere near Thanksgiving, I’ve been thinking a lot about gratitude lately, and what it means to be grateful for something that you have. During periods of mounting stress toward the end of a school year, it’s easy to lose myself in the work and the activities. In a rare flash of clarity the other day in class, I looked around me for a moment, at the bright maps on the wall and the lists on the board, and thought, I should be thankful for this. But how? When I first had the opportunity to interact with Kenyan students sponsored through Matanya’s Hope, I was ecstatic. I had forever been yearning for new perspectives and connections around the world. I became friends on them and chatted with them through Facebook, typing them messages at night and checking my message feed in the morning to see if they had responded. They told me about the universities they were attending and the majors they were getting, and while we discussed our schoolwork and our families and our futures (embarrassingly, I had to admit that I didn’t even know what I wanted to major in—much less know my future job), I felt as if I were talking with old friends. But one thing constantly surprised me, and it was this; their sense of gratitude. They talked about Matanya’s Hope and the supplies and the opportunities that the program gave them. They talked about their university work with relish, and although they sometimes told me they were stressed, or busy, they always, always made room in that same message to tell me how much they loved what they were learning. And so when I was thinking about gratitude, I immediately thought back to the conversations I had with students sponsored through Matanya’s Hope. Many Kenyan students live in an unbalanced world. There are not enough opportunities for education, nor infrastructure; distributable school supplies are hard to come by, there isn’t enough money to pay for the school fees, and many suffer from malnutrition or simply the lack of drinking water. I know a student who carried stacks of textbooks in a plastic Jewel Osco bag for months because she had no backpack, even when the bag eventually got worn to tatters. Another walked ten, fifteen miles from school and back, waking early and arriving back home when it got dark. Despite this, students are still grateful for what they have, and for the help Matanya’s Hope has given them to graduate school and get into a university. Matanya’s Hope tries to give students the supplies and tools they need to succeed, from nutrition packets to rainwater collection barrels to even something seemingly insignificant like a sturdy tote bag. Every donation means something—it could keep a child in school for another year, or for the rest of high school. I have learned to be grateful for the education I have today, for the days in the classroom cramming for tests and discussing world history. I hope that through Matanya’s Hope, another Kenyan student can have the opportunities I have learned to appreciate. This entry was posted in Christina Li's Column on June 28, 2015 by Michelle Stark.